Adding a Skyroom to your home creates a truly unique environment. At Baytree, we only install the best – the Atlas roof system is the strongest, best looking and most thermally efficient roof on the market. When it comes to giving you more, this is the ultimate… more sky, less roof. Inside looking up, or viewed from the outside, an Atlas roof will put your home in a class of its own. The first time you see an Atlas roof, you’ll be amazed. Featuring glazing that seems to defy gravity, with clean, sharp lines and minimum intrusion. This is made possible with a market leading super slim 40mm rafter box. Depending on style, you can even forget the need for any form of boss or hood. There is no better option when it comes to maximising light within your home. * A U-Value (W/m2K) is simply a measure of heat loss from a building structure – for instance a roof, or a window and frame. A high U-Value means thermal insulation is poor whilst a low U-Value indicates a good thermal insulation. As a glazed roof is made up of both glass and rafters, you want low U-Values from both. High performance glass is usually rated at 1.1 or 1.2 U-Value, but the value of roof rafters vary considerably. The Atlas rafter has a U-value of 1.5 W/m2k which is twice as thermally efficient as its nearest competitor (which are over 3). 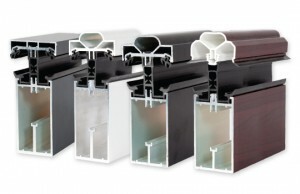 When using doubled glazed Low e glass (U-value 1.1W/m2k) the overall Atlas roof has a U-value of as low as 1.2 W/m2k. ** Independent tests confirm the Atlas roof is the strongest glazed roofing available in the UK domestic conservatory market. Our roofs have been designed to withstand 33% greater live loads (wind/snow) than other roof manufacturers.